An exclusive blend of 30% Arabica, 70% Robusta, with a full-bodied taste and intense aroma made from first-class Arabica and Robusta from selected plantations of the best Brazialian and Asian coffees. 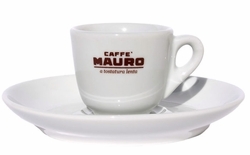 The Mauro's most classic product. 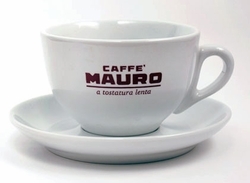 Specifically roasted for preparation with Moka coffee-makers, for intensely aromatic and round-tasting coffee. We were complely happy with our experince and would order again from this store as soon as tehse beans are over.